Tellington TTouch has emerged as a natural healing modality for humans. 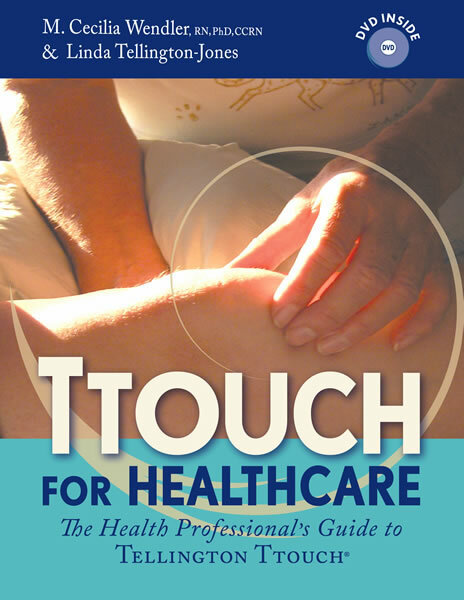 Used by nurses, physicians, physical therapists, massage and cranial-sacral therapists, as well as Feldenkrais practitioners and other healthcare professionals and caregivers around the world, TTouch provides a unique opportunity for expression of support and caring, and well as relief of a multitude of symptoms. TTouch for Healthcare is the professional’s guide to integrating Tellington TTouch for enhanced care and patient empowerment. A two-hour and forty minutes DVD is included with this book. Published by Tellington TTouch Training, Santa Fe , New Mexico , 2008. Softbound: 210 pages; 8.5" x 10.75"; 130 photos/drawings; a two-hour and fourty minute DVD included.